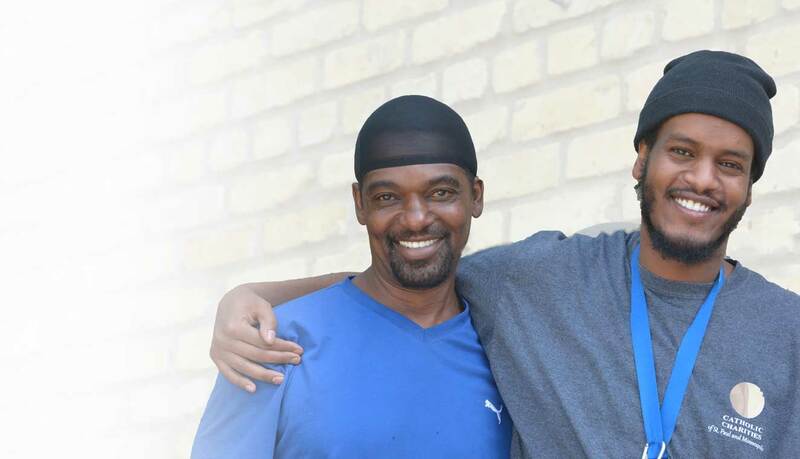 Help neighbors experiencing homelessness find hope and new life. Catholic Charities of St. Paul and Minneapolis serves those most in need. We are a leader at solving poverty, creating opportunity, and advocating for justice in the community. Your gift provides hope and the opportunity for a brighter future to the most vulnerable in our community. With your support Catholic Charities serves thousands of children, families, adults experiencing homelessness, refugees, elders and those with disabilities in the Greater Minneapolis St. Paul Region. Our volunteers are part of corporate, faith-based, educational and community groups who come together to contribute hundreds of thousands of hours of service. Volunteers not only serve meals, clean, paint, but listen, care and share their time and experiences with the men, women and children served by Catholic Charities. Each year, thousands of community members engage to advocate for social justice, serving as a tireless voice for those who often go unheard. Thousands of voices advocate and create awareness on important policy issues such as youth homelessness, affordable housing, mental health and child care. Mohamed and Arthur come from two different worlds. Two different sets of life circumstances. Two different generations. Two different cultures. Still, they’re united. Both credit Catholic Charities for turning their life around for the better.